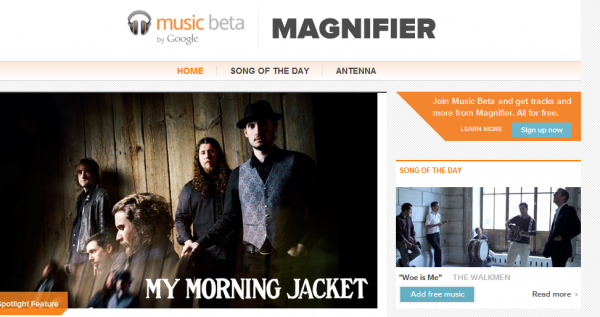 If you love finding new bands, tracks, and jams then check out Magnifier. Magnifier goes hand in hand with Google’s Music Beta, and their team is always on the lookout for you. Their team finds music, gives it to you for free, and you add it to your library. Instant winning. They have a constant flow of “Song of the Days”, and they feel pretty confident in their music taste. Shall we put it to the test? Is everyone still using the heck out of Google Music? Still in love? Anything you wish it had that it lacks? Let us know. Feel free to sign up for Magnifier for free, right here.